Michael Dobbs wrote a political drama named House Of Cards. The book House of Cards was loved by the readers so much and to satisfy the curiosity of readers Michel went ahead to wrote two more parts of the the book named To Play The King, and The Final Cut. This entire trilogy have its own fan following. Inspired by the same, Paul decided to make a TV Serial based on this trilogy, and there came British TV Serial House Of Cards. The serial also received same love and affection from viewers. It was later remade in USA with the plot focused on American Politics. Even House Of Cards US TV Series also received same popularity among the viewers. Let us talk about the British version of the TV Serial which is available as a DVD Set for international audience. In addition to provide Home Entertainment, it also brings some inside of the politics to the audience, which is otherwise, part of imagination for layman. In addition to choosing right actors for most of the characters, the makers hit the bull’s eye by having some remarkably written dialogs. 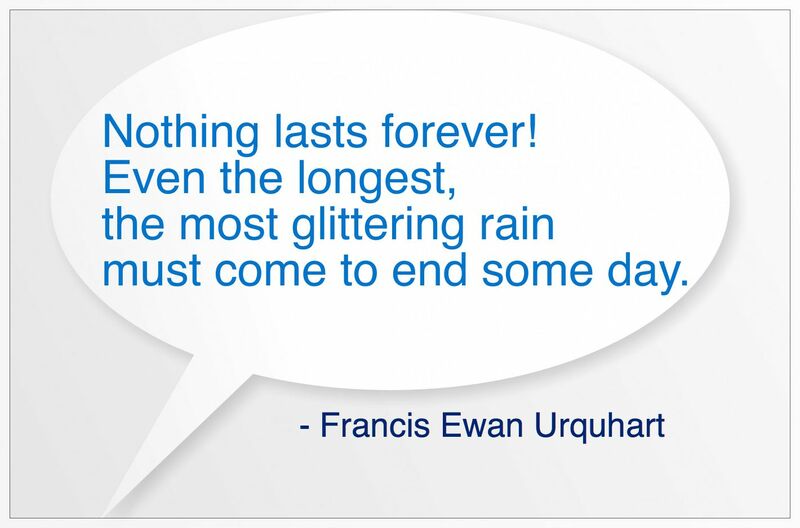 Nothing lasts forever! Even the longest, the most glittering rain must come to end some day. 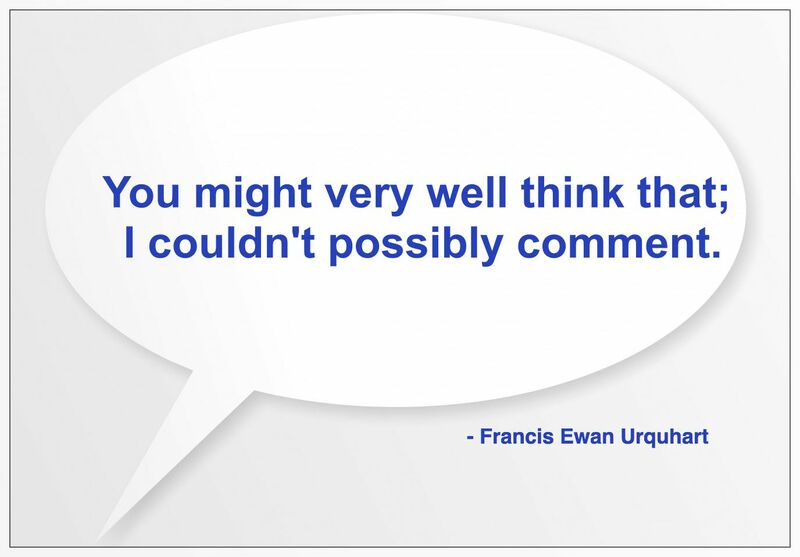 These lines were spoken by Francis by looking at the photograph of Margaret Thatcher who is leaving the active politic. It is the time when ruling Conservative Party is about to elect a new leader. Francis is the (fictional) ambitious chief whip of the party. In the first episode we see that how he felt betrayed when not given effective position in the government. He was rather given the duty to serve the party. He decided to play the manipulative politics. This is the tale of how he plays the game and uses various factors to weaken the government and make his own position stronger. Whether he will be able to achieve what he was intended for and if yes then how, is explored in the rest of three episodes of the first season. It is spoken in some variations based on situation. When the series was reissued in 2013, to coincide with the release of the US version of House of Cards, Dobbs rewrote portions of the novel to bring the series in line with the television mini-series and restore continuity among the three books. The DVD quality is quite good. Despite of being shoot with limited technology available those days, the remastered copy is a pleasure to watch. The audio quality is good too. Throughout the episode you will see a quite theatrical approach in dialog delivery by Ian Richardson. Some of the interesting scenes from the first episodes include the scene where Francis introduce us with the main characters (actually the possible political successors of Thatcher). No larger than the life sets are found almost throughout the first season, yet they are all quite realistic. Sometimes you may feel that the sets could have been much better or splendid (based on our usual imagination by watching many TV Series these day). However it is also a fact that for the time it explores, the sets are quite complementary. Here is is talking about himself and what are his ambitions and what he thinks about Henry and so and so. And yes, it precisely confirms his ambitions and hope to get a place in the high office (or ministry). The priorities for them is to win the general elections though. The party scene is a must watch. How the news channels, politician and others try to present the situation in their own favor is something interesting to see. We are also introduced to political reporting and how political campaign goes. Of course, the things are somewhat different these days in terms of the scale and involvement of digital media and some other factors when we talk about political campaigns and news coverage; the basics remain same though. Of course, the party wins the election, but with the reduced majority. It plays a vital role in decision making for the new prime minister. Henry, the new prime minister, decide to not to change much in the ministry and hence Francis needs to remain the chief whip only!!! How, Francis needs to wait outside the office of the prime minister, gives us a hint of that. The disappointment is clearly seen on his face and evident in his gestures also. The meeting scene is very important. Actually it is the scene which makes Francis to do what he is going to do. We are introduced to the the strength and ambitious nature of Elizabeth, Francis’ wife. It shows us how their personas are complementary to each other; and why they make a perfect union. We however sometimes find Diane (playing Elizabeth)’s dialog delivery more theatrical than the natural one. She winds the ambitions of Francis and pushes him to do the stuff which he finds right. It is however the character of junior political reporter Mattie Storin which is introduced later in the episode, which is played by Susannah Harker; who looks un-natural in terms of dialog delivery, in most of her scenes. Her character gets more important in coming episodes. Most of the characters are written strongly. Almost every character get the scope to explore it properly. Due to its length of just 4 episodes, the series have good momentum. We will of course discuss Episode 2 onwards in the next article in the series. A little low in terms of technology, the series often looks like a political drama you are watching in a theatre. The DVD quality is quite good. The performances are remarkable. Good dialogs carry many punchlines. Overall a treat for political drama lovers for sure. Did you watch this TV Series? Are you curious to watch it? Have your say via comments below then. We will love to hear your remarks as always. Also do not forget to share this article with your friends over various social networks via Twitter, Facebook, Google Plus and others. And yes, you may like to subscribe to our RSS feeds and follow us on various Social networks to get latest updates for the site to land right in your mail box.